With our directory listings, CityDirect.info helps to put your business information in front of customers who are actively seeking a business like yours. People don’t just browse our business directory; they use it because they’re ready to contact a business or make a purchase. We help your business grow by helping you attract qualified local leads. When you list your business where your customers are already looking, you stand out from the competition. Your target market is looking for a business like yours, you offers what you do. You can make sure more ready buyers connect to you by ensuring that your business is listed in all the appropriate categories in CityDirect.info. 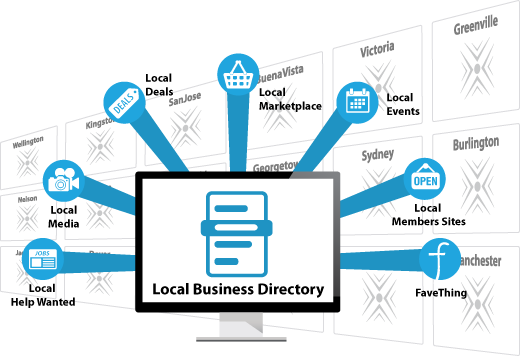 CityDirect.info’s local business directory is just for organizations within your city and its immediate area. This means that your business doesn’t have to compete against out-of-area businesses buying reach. CityDirect.info helps local content reach more local dollars. CityDirect.info’s local online business directory makes it quick and easy for you to publish detailed information that excites consumers to buy from you with just a few clicks. By placing your business where your customers are already looking, and giving them up-to-date information about what they are looking for, you can generate more qualified local leads and boost your sales. Whether they are at their desk, on the move, on their desktop, laptop, smartphone, or tablet, your customers expect to be able to find you where and then they want. 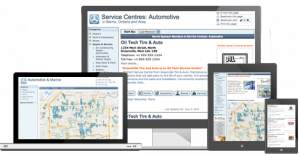 CityDirect.info’s directory listings are completely mobile responsive and compatible with all devices. CityDirect.info’s local business directory is part of a worldwide network of local CitySites – each showcasing the best local organizations in their area. 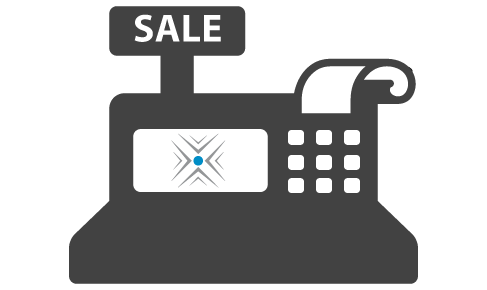 Each CitySite allows you to build a locally optimized website, add your offerings and deals into its local marketplace, as well as post events and help wanted ads. 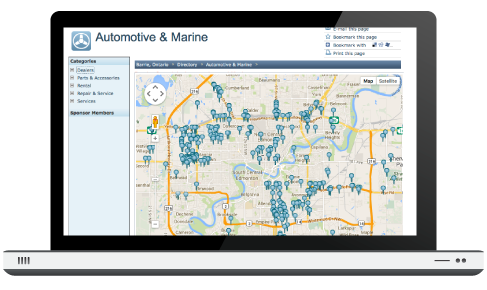 All parts of this integrated network come together and are tied into our business directory. This allows your business to shine a spotlight on much more than your address and phone number. Each one of our Marketing Specialists is an experienced expert who wants nothing more than to help you reach your local market. Recently we have been exploring ways to improve the user experience people have when interacting with our websites. We are excited to share with you a major update to the look and feel of our websites. Starting this week you may notice that your pages (either basic or enhanced) look much different. 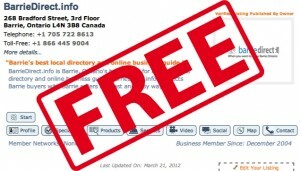 CityDirect.info is hands down the most cost effective way to get your business found online. And we want to show you why! 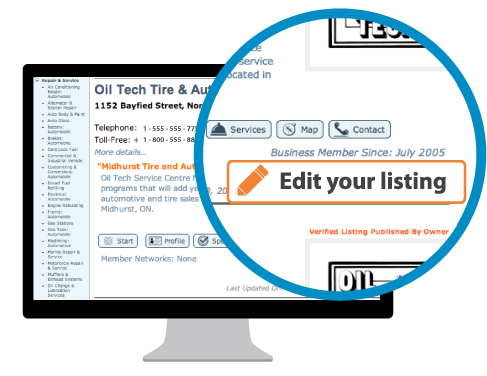 If you’re interested in learning how we can help get your business found, then we’ll give you an Enhanced Listing, worth $199.99, for the chance to show you what we can do! Send us an email to BusinessMembers@CityDirect.info, Call us at 855.200.CITY (2489) or send a carrier pidgeon to 268 Bradford St, Third Floor, Barrie Ontario, L4N 3B8, and one of our Marketing Specialists will be in touch. In my many years as an SEO consultant the one thing that is prevalent above all else is the confusion that business owners feel about Local Search Engine Marketing. Hearing too many things from too many “experts” leaves a cloudy path to success. 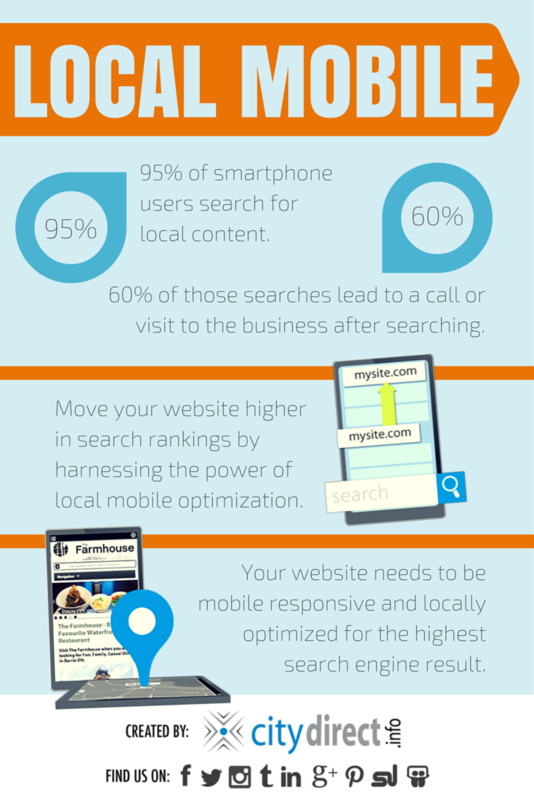 Let’s clear this up with the basics of SEO. 1. You need a good platform. (a good website). 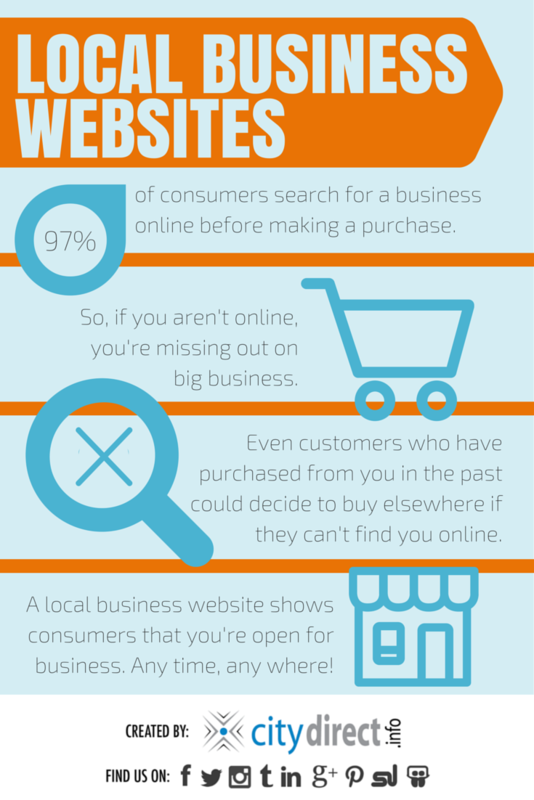 All too often I see people asking why their site is not coming up on search engines. My answer: not all things are created equal, and some website have better coding. The architecture of the site, the bones, hold it up and let it do what it needs. If your site has weak bones then you will find it difficult to get found. 2. You need good Content. Search engines are simply word counters, as of right now, they don’t care how pretty your website is, they just care that it has content that matches what people are looking for. They determine this by simply reading what people can read on the page and if you have good content. As a rule, if you do not have the readable content on your page that people are looking for you can’t show up. In our industry, if anyone suggests anything different should have never left their previous career. 3. Everything else. Until you have the first two requisites in place, don’t worry about anything else ie. Link’s, Social Media, Meta Data, Micro Data, Off Page Factors, Google Adwords etc. You could have the best inbound links in the world coming to your site, but if you don’t have the right content or a good platform, you will be disappointed. Here are some general rules that can help you on your way: Flash based is bad; Tables based website are like mullets, they really weren’t great even in the 90’s, but now its just down right irresponsible to have them. CSS, HTML, XML is good; A content management system is a must. and be prepared to invest a little bit of time into your web presence. Like all things in your business it take time and attention to do it right. What to do next? Contact a trusted and reputable SEO Company that has multiple examples of the success they have helped businesses achieve. 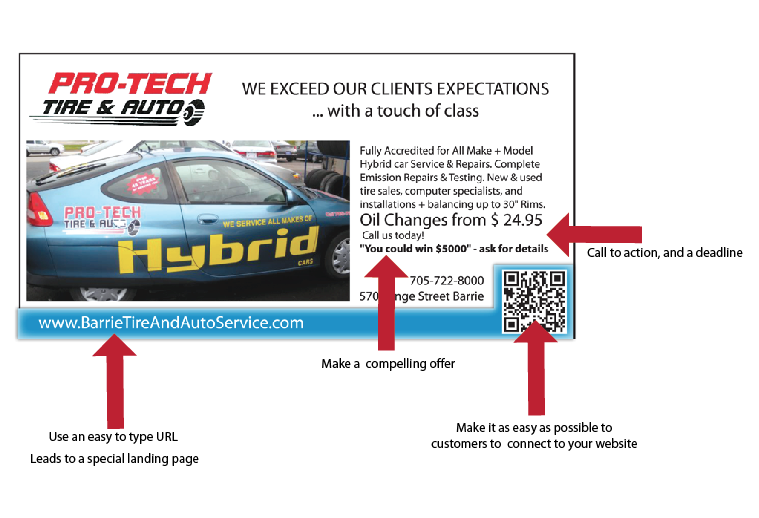 Here is an example of a print ad that uses offline marketing to drive traffic to the website. This image illustrates the points from the blog post, Marketing Offline to Drive Targeted Website Traffic, which explains how direct marketing can be used to connect offline to online marketing initiatives and drive targeted website traffic. Hello everyone and welcome to CityDirect.info’s Integrated Inbound Local Marketing blog! This blog, Integrated Inbound Local Marketing, is going to be where we communicate to you, our Business Members, about information related to CityDirect.info. We’ll provide updates, improvements, changes, tips and tricks, announcements and exciting news about the company. My name is Nikki and, for the most part, I’ll be the voice behind these posts. I work in the Marketing and Communications department at CityDirect.info, as the Integrated Marketing Communication Specialist, and am really looking forward to sharing company updates, changes and improvements with you. I encourage any and all comments, and am excited to hear from all of you!